We have a whole summary page on this website to talk about privacy, so it is only fitting that we also include one for that other general benefit of fencing and gating services: security. 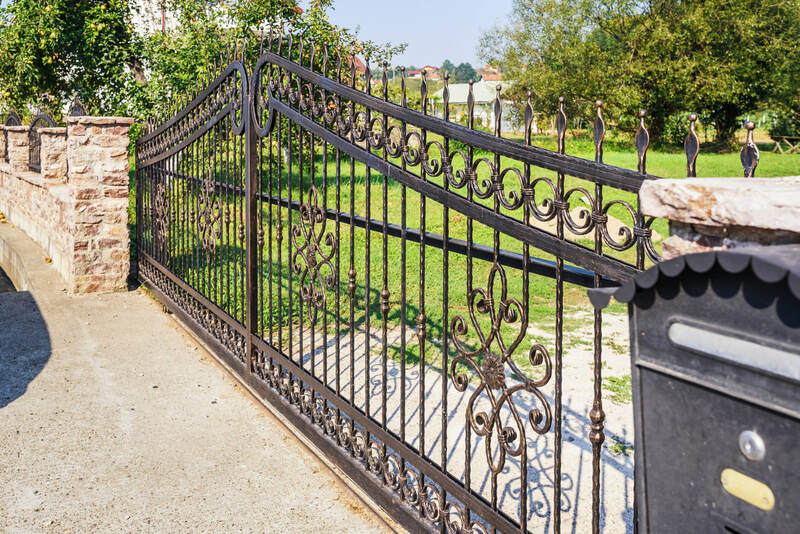 The truth is, there aren’t many more simple ways of protecting your property than the good old-fashioned obstacle to keep intruders and unwanted guests out. Our range of custom gates and operators do a great job and they are cheaper than you might think as well. As you can probably tell, we are big fans of these contraptions, but by the end of the page, you will be, too. We understand that there is a certain status that comes with a custom gate and operating system. Therefore, many of our customers are a little surprised that we have suggested it because they had not considered it themselves. But, more and more people are choosing this kind of privacy system in America and because of that, the prices are lowering and will probably not be as much as you think they will be. We would be very happy to talk you through these options – you don’t have to live in the Hollywood Hills to make the step towards a gated entry point for your home. It is important to all of our customers that they are getting a fencing job that is in keeping with the style of their home and this means that we are always doing customization jobs for the clients that we work for. Clearly, this is a process and we want you to be just as much a part of it as we are. Therefore, we will make sure that we give you all of the information that you need before we sit down for a meeting to discuss what the best options are, keeping in mind your views, the style of your home and the expertize that we will be bringing to the table. There are many different operating systems that you can choose from. If you want a slick electronic system with a dial in code and a security wall, then we are able to achieve that for you, in the same way that if you want a more rudimentary system with pulleys and levers, we are in a position to do that as well. It all comes down to which option is the most feasible and which one will be the best for you in the long run. This is a new website so the testimonials section has not been updated to include the customers who we are working with right now, but in the future we will have more testimonials added that detail their views about their shiny new custom gates and fences. Check there if you need more persuading about what a great service it is. There is no better way to separate yourself from the crowd than with a great status piece like an electric gate and operating system. Find out much more details about us.